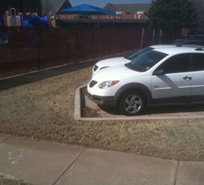 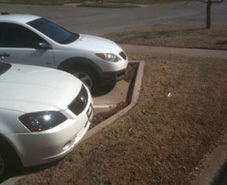 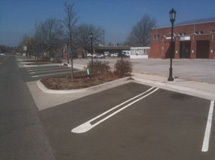 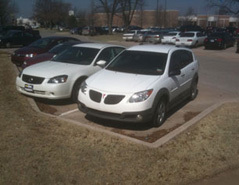 Shown above is a typical way to pave curbs around parking spaces. 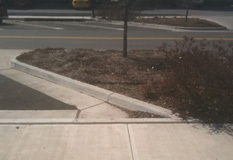 But this system creates an acute angle that collects trash and minimizes the area for landscaping or sidewalks. 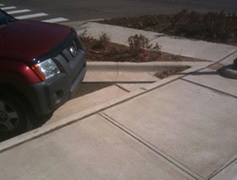 Once the right front tire hits the curb, a car can't go forward any further. 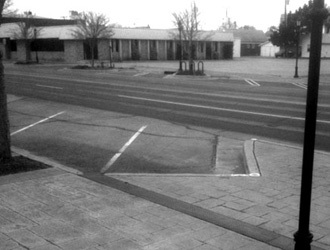 Notice in the sequence below how that leaves a triangle of wasted space. 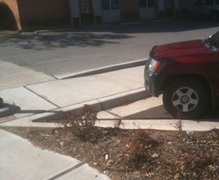 That point where the tire hit the curb can determine a line perpendicular to the front axle. 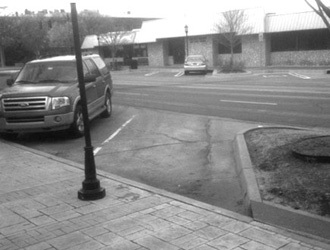 • There is no acute angle to trap debris. 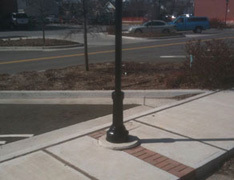 • Easier (and cheaper) to pave without the acute angle. 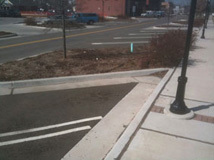 • There is more area available for landscaping.